I’m delighted to announce that we have recruited Tim Inman to be the next chief of staff for the Office of the Provost. Tim currently works in Salem as the chief of staff for Oregon Speaker of the House, Tina Kotek. Since 2015, Tim has been the principal advisor to the speaker where he is responsible for translating the values and priorities of the leadership of the House of Representatives into strategic plans that will have an impact on Oregonians statewide. Tim works to build and maintain strong relationships between all levels of the legislative branch, state agencies, and the wide range of stakeholders who engage in state policy and budget development in order to achieve outcomes. He has experience overseeing many key administrative, fiscal, and policy projects that span the state capitol. He has helped negotiate budgets, policy proposals, and important legislative packages in a complex and fast-paced environment. During his time in Salem, Tim has earned a reputation for being hard working, thoughtful, and for having the utmost integrity as he navigates through controversial and complex initiatives. He has played a key role in countless negotiations, including closing the state’s $1.4 billion budget gap, increasing Oregon’s minimum wage, and passing a multimodal $5.3 billion transportation investment package. 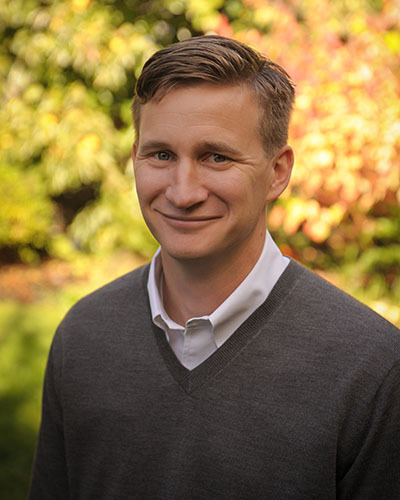 Prior to working for the speaker, Tim worked as a legislative director in legislative leadership in the House, as a legislative aide for two Eugene-area lawmakers, and as a policy analyst for the Oregon Department of Energy. Tim is a sixth-generation Oregonian who was born and raised in nearby Elmira. He grew up on a farm that has been in his family since 1852. A first-generation college student, he has an undergraduate degree in history and a master’s degree in public policy, both from Oregon State University. His experiences as one of the first in his family to attend college instilled in him a passion about making sure anyone who wants a higher education degree has access to one. He wanted to come to our university so he can continue to advance the importance of what an excellent public education can do for everyone. Tim lives in Portland with his wife, Kachina, and their two young children, but they will be relocating to the Eugene area. I am very excited about having Tim come on board next summer. This is an important time for the Office of the Provost and the university as we continue to build a strong team to help elevate our academics, research, and scholarly activities. Given that the Legislature is about to begin its next session in January, Tim will not start in his new position at UO until August. Until then, Angela Wilhelms will continue in her role as interim chief of staff for the Office of the Provost.